A career in health care can be highly rewarding. There are several paths to take, and phlebotomy technician is one of the most accessible and fruitful. This entry-level position prepares you to work in many settings, and it’s important to understand what this field entails before enrolling in courses. Below, you’ll find answers to common questions about the position and required coursework. A phlebotomy technician collects blood samples from patients. This includes prepping equipment, preparing patients for sampling, and shipping collected samples. 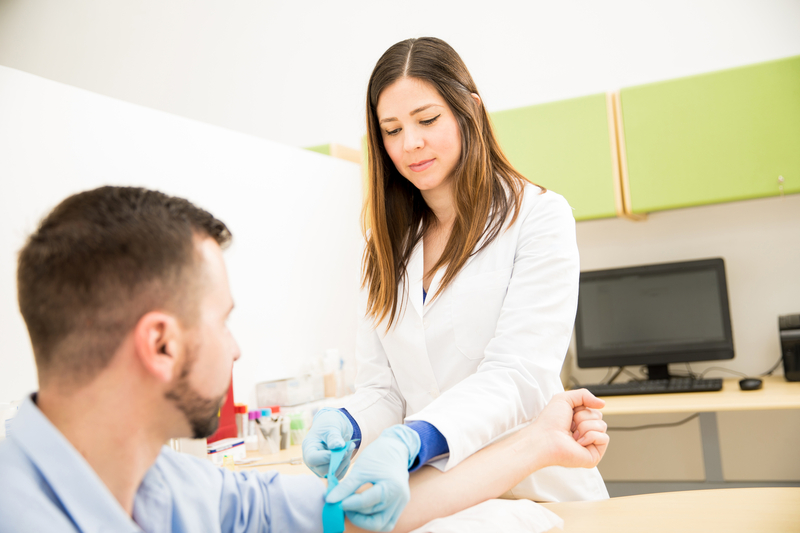 You can find phlebotomists in almost every health care setting, including hospitals, medical labs, correctional facilities, and even mobile clinics. There are essential personal skills a phlebotomist will need. You’ll need strong verbal skills to communicate with patients and colleagues, and visual skills for coding samples, documenting data and results, and properly administering tests. You’ll also need effective body mechanics so you move safely around a lab and draw blood. Some problem-solving may arise, which is why basic algebra skills are helpful. You’ll need a full understanding of general medical care related to blood testing and fluid gathering. This includes how to use the latest tools and machinery, how to keep a sterile lab, and skills for testing samples. Many phlebotomy technician training programs offer extensive hands-on experience with seasoned instructors to prepare you for an actual medical lab. While programs vary, you’ll typically need at least 60 hours of classroom time. You’ll also need to pass an exam to receive your Certificate of Completion for the program. You will then need to pass the National Healthcareer Association Certification exam to begin practicing in the field. Are you ready to start your career in health care? IGBANS Institute of Vocational Training offers many training programs. Located in Springfield Gardens, NY, they offer home health aide training, CNA classes, and hands-on training to become an EKG or phlebotomy technician. View their complete course guide online and call (718) 276-8100 to speak with their admissions office.